Find the perfect oceanfront home in Hilton Head's famed Sea Pines Resort. Located on the southern tip of the Island, this luxury resort has become the buyer's choice for oceanfront real estate up and down the East Coast. The natural beauty of this area is one of the greatest pulls for those visiting, but when you see what we have for sale in our luxury portfolio, you will certainly want to experience the peaceful and private side of life. In fact, this impressive resort constitutes one of the most luxurious locales on the island. Whether you're searching for a home that embodies the architectural flair of South Carolina or you're on the search for a Modernist style home, you won't be disappointed. Many examples of the multi-million dollar Sea Pines oceanfront real estate boast designs from famed architects like Joe Hall. Begin your search for oceanfront homes for sale in Sea Pines below, or discover more information about Sea Pines real estate and nearby amenities. Want to view more listings? Register with Bill True in order to access our complete roster of active Sea Pines luxury real estate listings. You'll also be able to create advanced custom searches. Living in Sea Pines oceanfront real estate (or just spending time on the island in your oceanfront home or villa), you'll be surrounded by the breathtaking beauty of the gentle tides, majestic live oaks draped with Spanish moss, towering pines, lofty palmettos, and splendid magnolias. Sea Pines oceanfront real estate opportunities range from moderately-sized family homes to large estates and compounds to expansive beachfront investment/rental properties. Price points range from around $3.5 million to around $8.5 million. As one of Hilton Head Island's most luxurious communities, the houses in Sea Pines offer residents the finest in luxury living. Buyers will find that no two Sea Pines homes for sale are quite the same. While almost all of them might offer swimming pools where homeowners can enjoy a dip in cool waters, inside they each boast a rich character defined by a range of architectural styles. Some evoke the classic Charleston homes, while others have something distinctly Modern. Is there a Sea Pines oceanfront home for sale that's caught your eye? 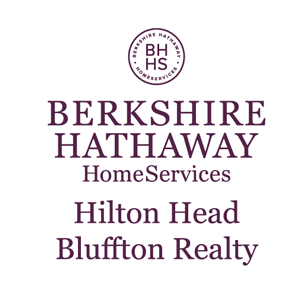 Contact experienced Hilton Head real estate agent Bill True to schedule a viewing. He'll be happy to answer any real estate questions you may have along the way. © 2019 BHH Affiliates, LLC. An independently owned and operated franchisee of BHH Affiliates, LLC. 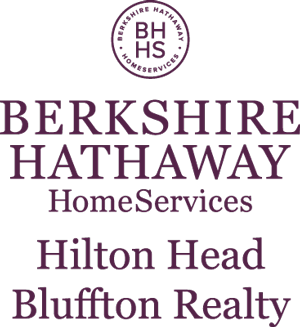 Berkshire Hathaway HomeServices and the Berkshire Hathaway HomeServices symbol are registered marks of HomeServices of America, Inc.® Equal Housing Opportunity.